Modern interpretation of the well known classic. These renders show a contemporary interpretation of a typical mediterranean villa. This architectural model depicts a villa with stone masonry construction, which is a well known characteristic of building construction in Dalmatia, situated in a typical mediterranean environment. 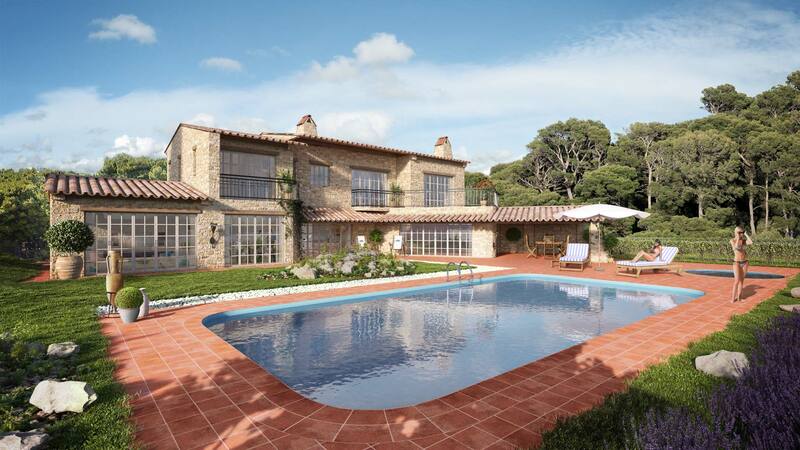 These known characteristics with classical details are contrasting with large windows and french doors accompanied with a large pool and a jacuzzi.